TasCaffe began in 2000 when the Cioppi family made the sea change from Melbourne for a more relaxed lifestyle and started a coffee machine repair service. Through listening to their customers, Nick and Frank realised that Hobart was limited in its choices for coffee and started distributing a mainland product to a small group of cafés in and around Hobart. 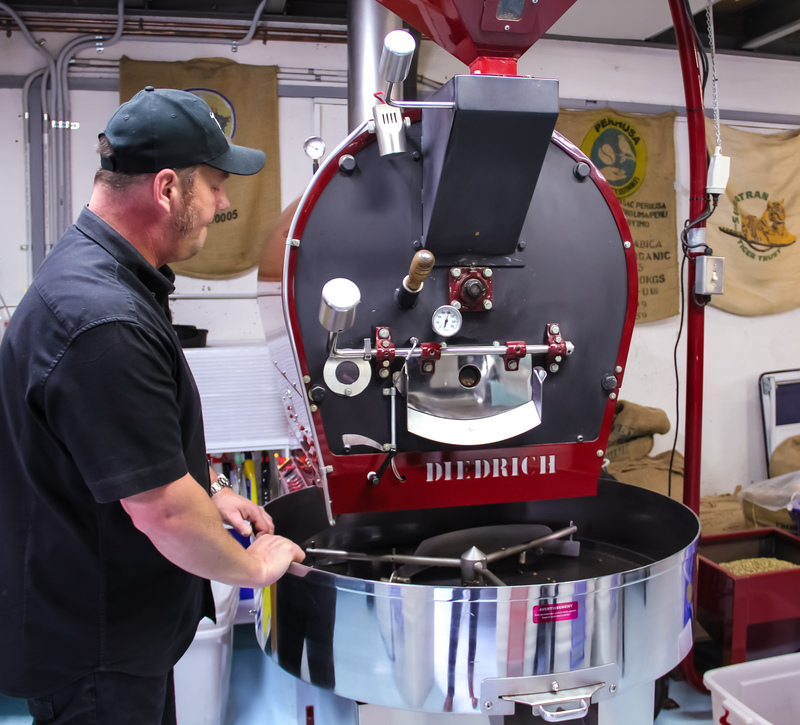 With over 30 years in the industry between them, they then took the leap into roasting coffee. The product was of the highest standard. It wasn’t long before word had spread that they were roasting coffee that was second to none. TasCaffe grew and David came to work for the company. In 2013, Rachael joined the team. After a few months, a sale had been negotiated between the Cioppis, Rachael and her husband Matthew to take over the business. Frank stepped back from the business for a well-earned break and Nick stayed on to help Rachael transform TasCaffe. Together Rachael, Nick and David overhauled the entire business and took it to the next level. TasCaffe became a one stop shop for everything coffee: coffee machine sales and service and hot drink supplies. After 2 years, Matthew joined the team full-time. TasCaffe continued to grow and he gradually began taking over the role of head roaster. Frank Cioppi also re-joined the team as a technician. In 2018, Ashley came on board to help out while David was on holidays. His passion and commitment to the job was so great that he stayed on as an all-rounder, taking on deliveries, customer service and coffee machine repairs. Today TasCaffe is one of the leading coffee roasters in Tasmania, servicing customers both state-wide and interstate through its distribution networks.